When I came down in late June I thought, “Gee, I’ve got the whole summer ahead of me.” Technically true but so deceptive. July is over Thursday and I’m bewildered as to where it went. Anyhow, the images of summer are a comfort. 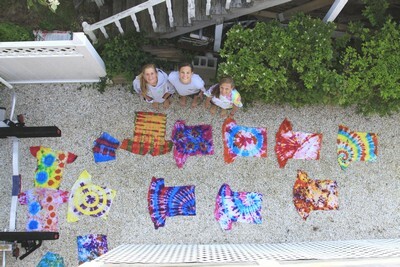 Shades of the 60’s, the girls experimented with batik. Here are the colorful and interestingly patterned results laid out to dry. 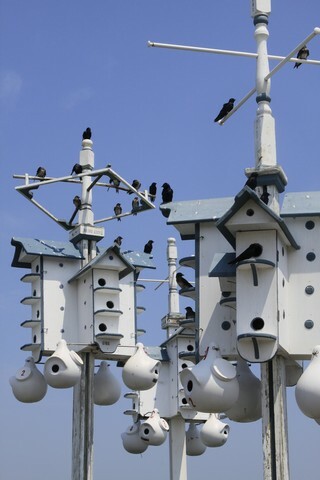 The Purple Martin Motel is full as always. 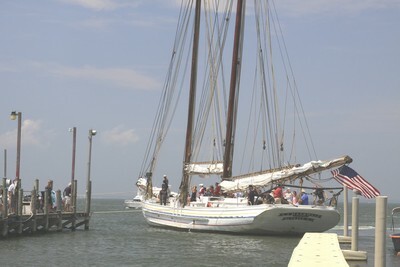 The A. J. Meerwald, a Delaware Bay Oyster Schooner visited Beach Haven and took people for cruises out on Manahawkin Bay. Polly’s Dock, long a Beach Haven icon, has gone upscale. The shed roof and walls no longer sag towards collapse, bulkheading has displaced the mud launching ramp, and — horrors! — there are jet skies for rent. But, it’s still one of the most colorful places around.